 7Run3 was formed as a collective group for runners who love running. We are about improving ourselves through competition and training. We do not focus on a single distance or event. Many members train and compete in 5Ks to far greater distances. We formed the group as a place where we could train and push each other to be the best versions of ourselves that we can be and still have fun along the way. 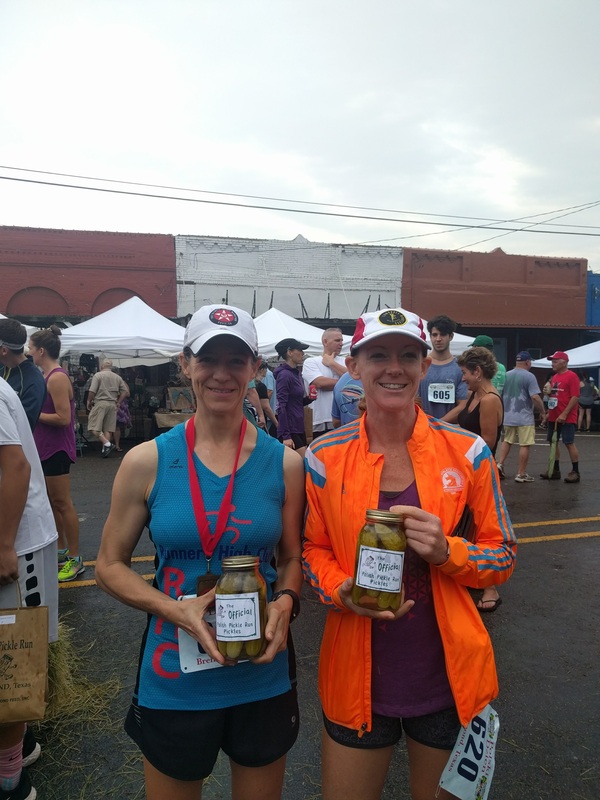 Polish Pickle 5K – Run a 5K, Win a Cow…or Some Pickles!!! 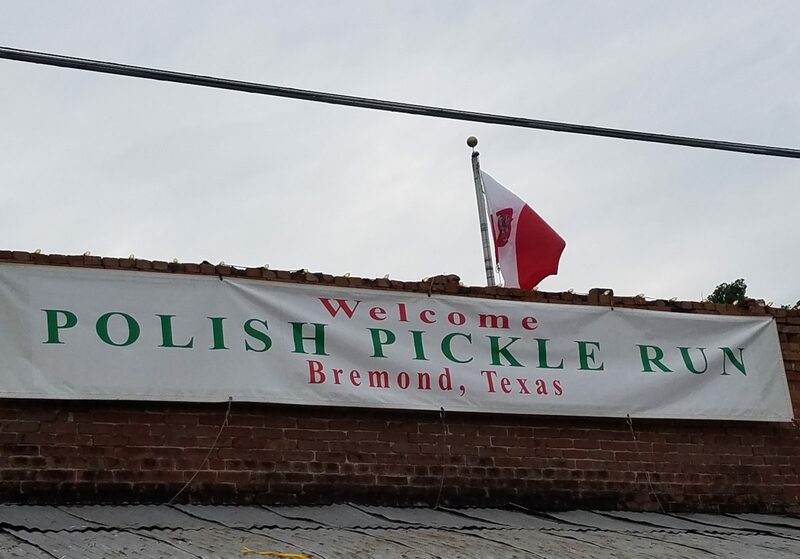 Members of 7run3 traveled to Bremond, Texas to run the 39th Annual Polish Pickle 5K. The race is located in the heart of the small town at the Bremond Press. The runners and visitors to the Polish Days Festival that follows probably temporarily triples the population of 900. All the locals know about the race and are rightfully proud of it. During our warmup and cooldown we were stopped a couple of times asking about the winning time or if we enjoyed the run. The race itself takes you on a small loop of the town and resulting country side to a slight climb up a road before the final general descent and sprint down main street. Comparatively speaking the course is hillier than what Houston runners normally experience but the hills are all nicely spaced out and so are barely noticed. This year the runners were relatively lucky with mild temperatures and some decent cloud cover for this normally warm late June race. 7run3 fared very well perhaps fueled by the lure of the grand prize winning drawing for a heifer to immediately follow the race. Yes you read that right. Male 45 to 49 Age Group sweep! Great job to all the runners. 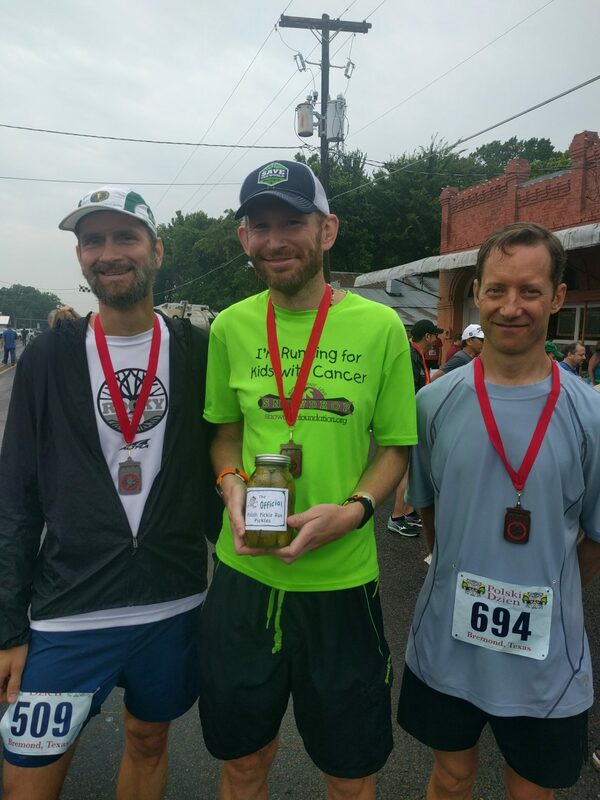 It's small town races like the Polish Pickle where you truly find the joy and heart of running alive and well.